Brisbane’s public bikeshare scheme, CityCycle, seemed to get off to a slow and shaky start, but now I seem to see more and more of them in use each day – particularly on the paths along the river. This afternoon, within less than a kilometer riding through Kangaroo Point, I came across two people learning to ride a bicycle on a CityCycle bike. Gil is from Brazil, and was learning on the street outside Shafston College. He’s 29, and hasn’t been on a bike since he was a young child, but is determined to get the hang of it again. Pam, from the UK, told me she hadn’t been on a bike for over 50 years. She was looking a bit anxious but equally determined. 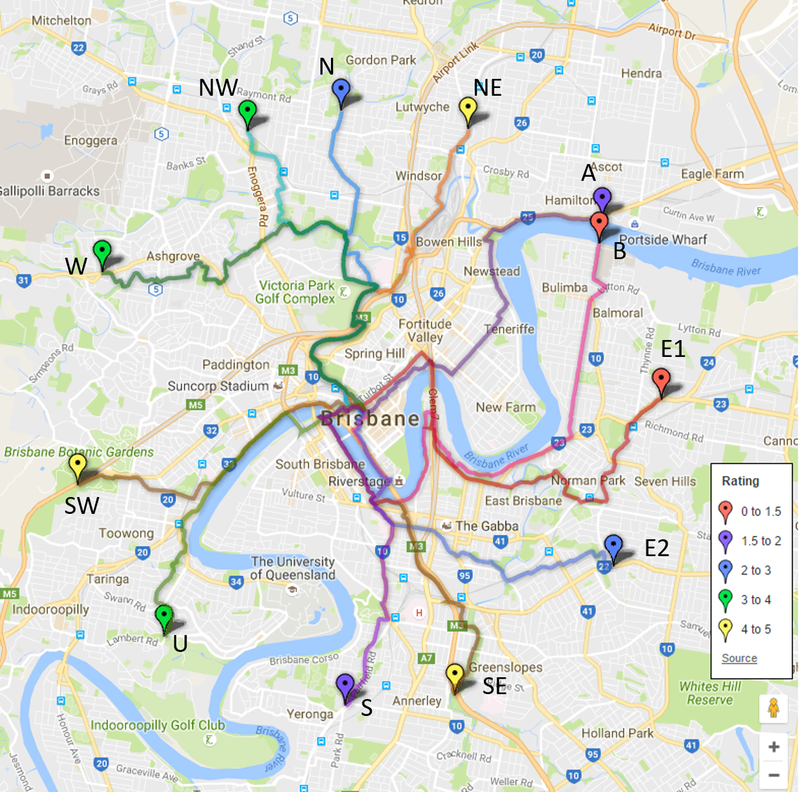 Let’s hope our visitors build some great memories exploring Brisbane by bicycle. Of course Gil and Pam are not the only people we know who have learned to ride a bike as an adult thanks to the CityCycle scheme: Rudi Landmann wrote a fabulous blog about his experience, and has since become a regular rider and conquered obesity along the way.